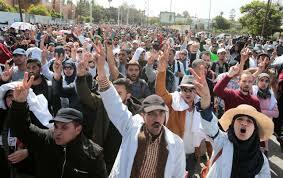 Morocco teachers protest over working conditions – Royal Times of Nigeria. 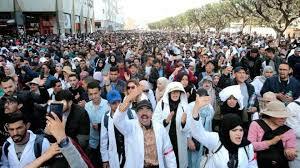 Several thousand Moroccan teachers today staged a protest in the capital, Rabat, hours after police dispersed an earlier demonstration. They are demanding permanent contracts, better working conditions, as well as protesting against the rising cost of living. Earlier, police in riot gear used water cannon to end an overnight sit-in outside parliament by fifteen thousand teachers. Protesters have turned down government proposals to end the dispute. The teachers on temporary contracts, who are mostly in their 20s and 30s, have been staging regular strikes over recent weeks. Two weeks ago, they staged sit-ins at regional academies in different cities. They earn the same wages as their colleagues on permanent contracts, about four hundred pounds a month, but are demanding full benefits and pension rights.